Update (August 16, 2018): It has now been officially confirmed by Starz that season four will premiere on Sunday, November 4, 2018. 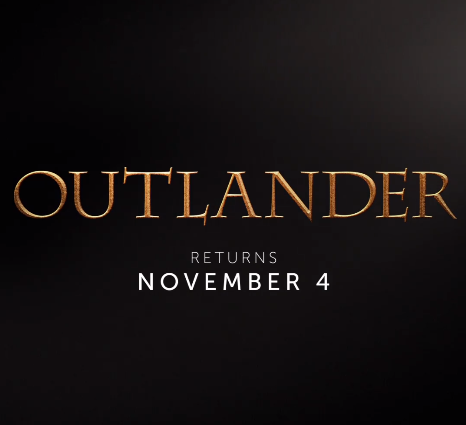 Original Post: Through a Facebook story posted by Starz today, we now have a premiere date for season four of Outlander. The season will premiere November 4, 2018, which is a Sunday. This story video published by Starz was most likely an accident since there were no press releases, press coverage, or tweets from Starz about this development. The video was sent out and targeted to those who do not subscribe to Starz because if you go to their Facebook page and look under videos, this video does not show up. It is only with the link provided that I can view this video. Until the date is pushed by Starz through the usual fanfare, I would take the date with a grain of salt. We will update this post when it is officially confirmed. This entry was posted in TV Show News and tagged Premiere Date, Season Four by Sarah Ksiazek. Bookmark the permalink.